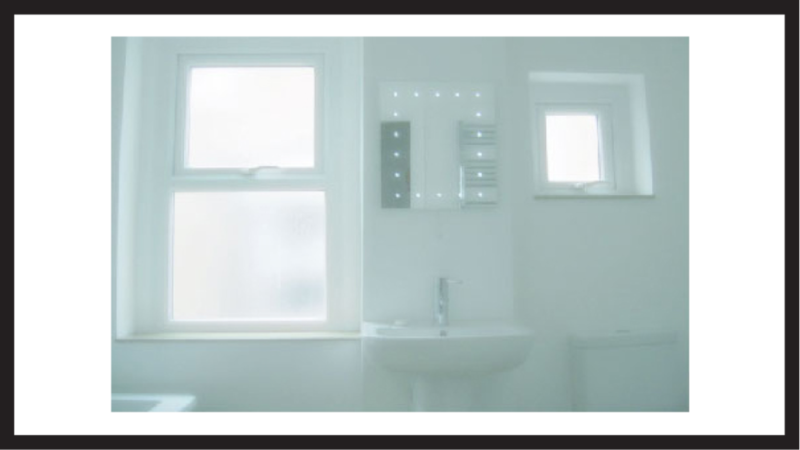 This bathroom started out as a separate toilet and small boxroom which we made into one large family bathroom. The wall was knocked out between the rooms and one doorway removed. All the walls and ceilings were re-plastered and new electronics and plumbing fitted. The crumbling windows were taken out and replaced with UPVC double glazed units. 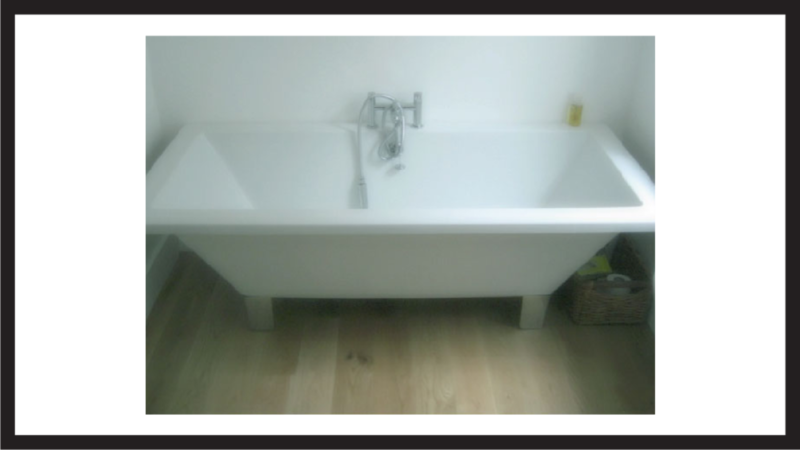 A beautiful oak floor was layed and Kerry and Mark’s amazing square edged bath was installed.